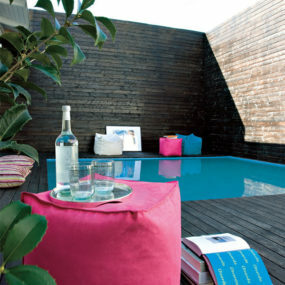 Here is a creative idea for a small backyard design with a pool by Bestor Architecture. 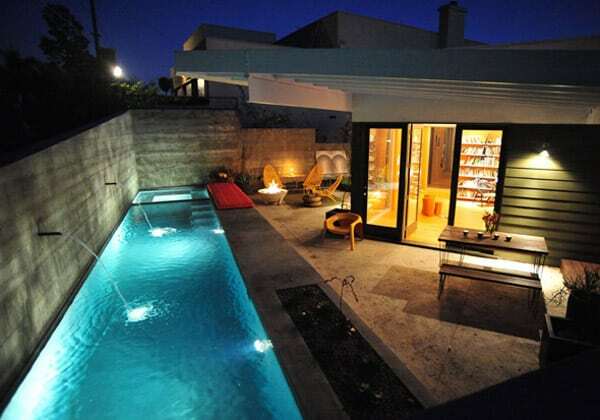 Notice how the pool and the house are positioned at an angle. 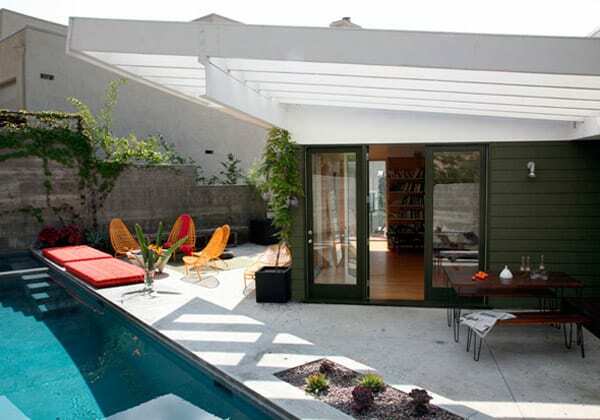 This formation effectively splits a small and very private backyard into two separate areas. One side for after-pool lounging and bonfires by night and the other for friendly gatherings and meals. 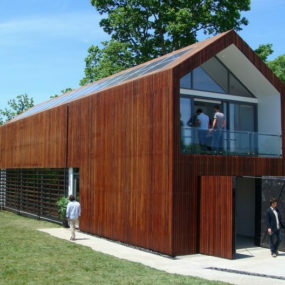 What’s also great is that the roof hangs off the house significantly, providing shelter to both sides. At night this cozy backyard turns into an illuminated delight. The large full-length doors and windows allow the warm interior light to shine out while the pool lights and the flames from the fire provide attractive kinetic lighting and set an inviting, relaxing mood. 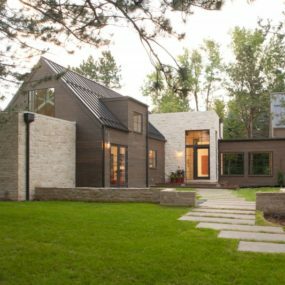 The layout and design elements of this outdoor space are exemplary of thoughtful planning and creative thinking when constrained by the lot shape. 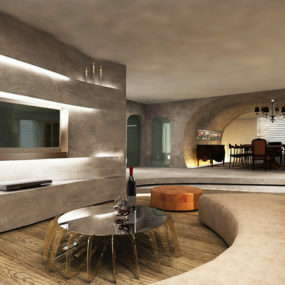 For more information, visit Bestor Architecture.